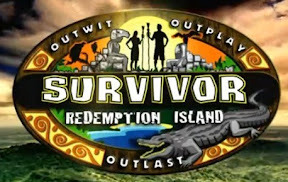 So this is the penultimate episode of this incarnation of Survivor, with the finale on Sunday. So they'd better start whittling the, what, NINE people still in the game in one way or another down to a more manageable number. Matt and Andrea had a tiff at Redemption Island. It was like Grade 6. The duel saw Mike, Matt and Andrea stay alive. Ralph was eliminated and heads to the jury. The editing was setting up for an Ashley immunity win to thwart Rob's plans to vote her out. And sure enough, Ashley won and Rob had to figure out another plan. He decided to vote out Grant and, of course, not tell Grant. Rob then wondered if he should go back on his word and vote out Natalie in order to break up her and Ashley, despite his repeated promised to Nat that he'd take her to the end. But in the end, Rob blindsided Grant and he was dispatched to Redemption Island. Sunday: A 3-hour finale that has 4 seconds of actual news. TweetDeck acquired by Twitter. World doesn't end!